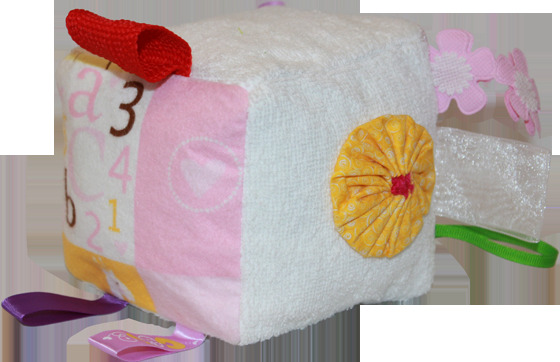 This 4"x4" plush block is white terry cloth fabric with ribbon loops and flannel print fabric. Blocks are made to give crinkle crackle sound to develop sound location skills. All material used is hand washable and is safe for baby use.